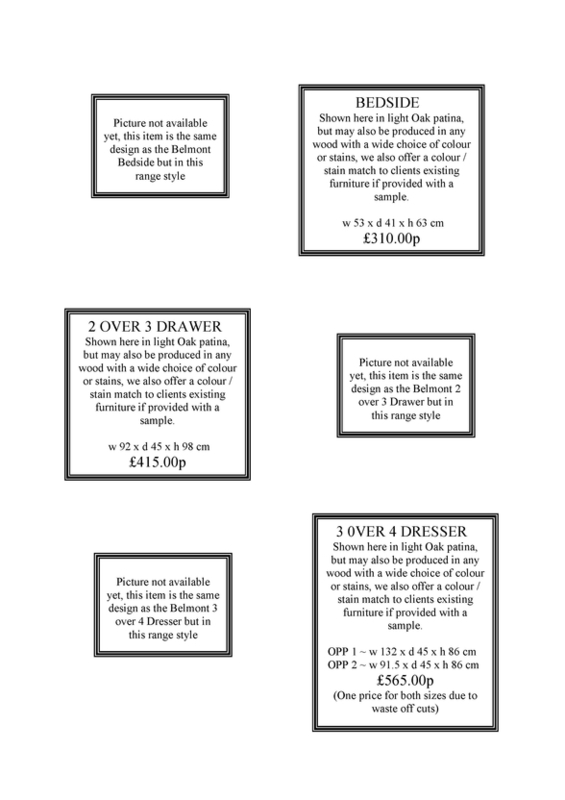 Everything is handmade to order and is delivered fully constructed. 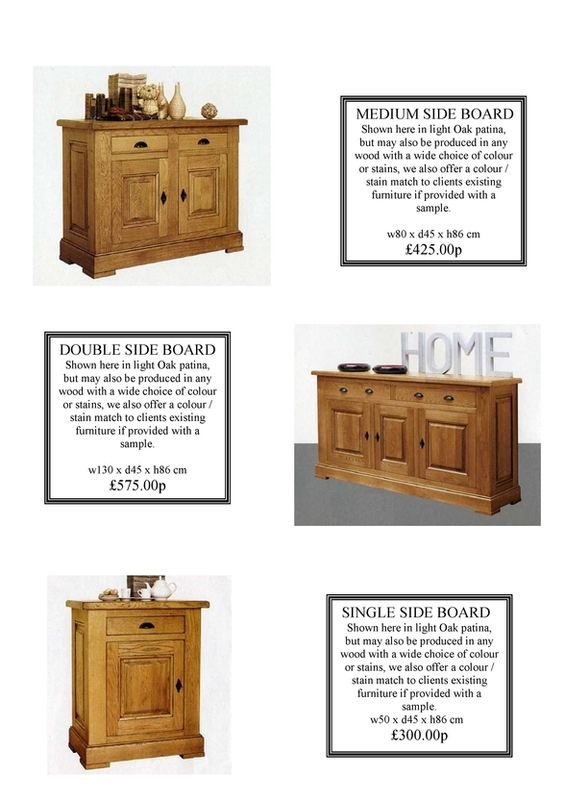 It can be produced in any wood and we have a wide range of stains / colours and a big choice of handles / knobs to suit at no extra cost (except Mahogany - this will be slighty extra). Please click on the Stains-paints-handles section in the left column to see. We can also stain - colour match to an existing piece of your furniture if we are provided with a sample. 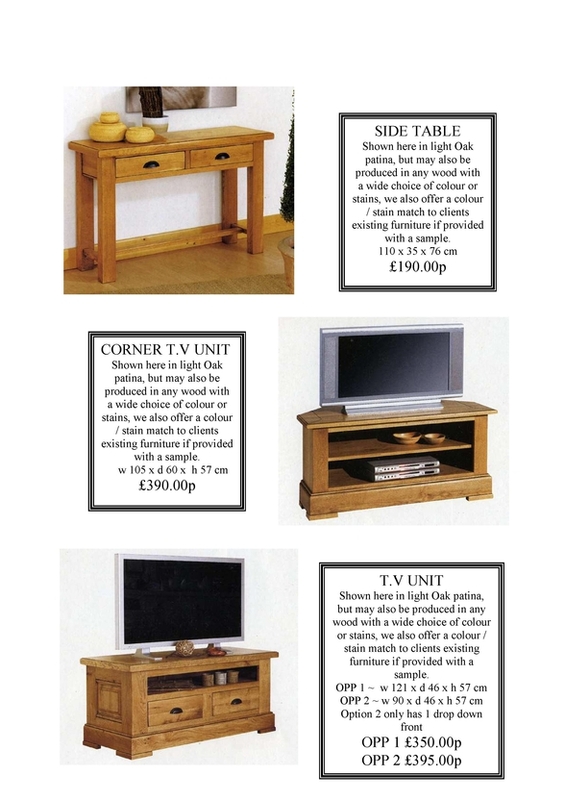 and state the item you wish to order along with your choice of wood, stain / colour and handles / knobs you require. 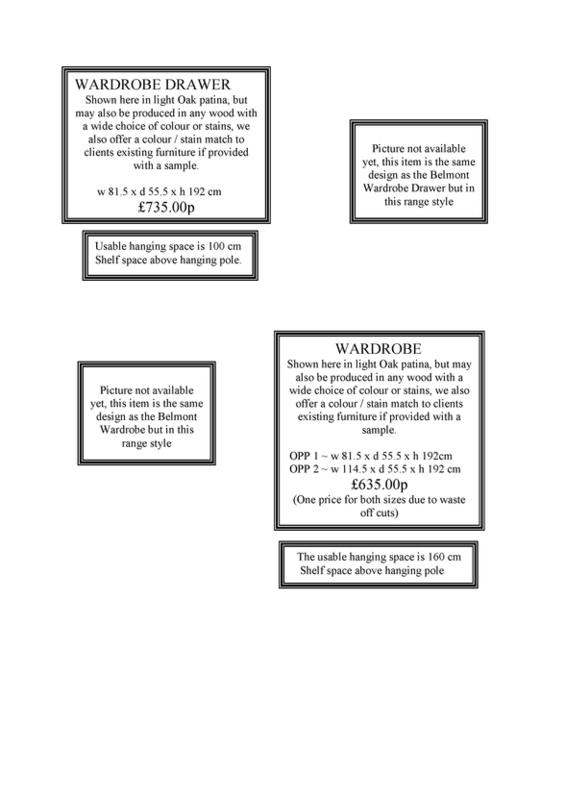 If you dont see anything you like or it's the wrong size we can custom make any item to any size at little extra cost. Or produce you a totally bespoke piece that meets your needs. Don't hesitate to ask. Welcome to the Oxford collection. Everything you see is handmade to order and can be produced in a wide range of woods, stains, and colours with a big choice of handles / knobs. Please click on the stains-paints-handles section on the left. 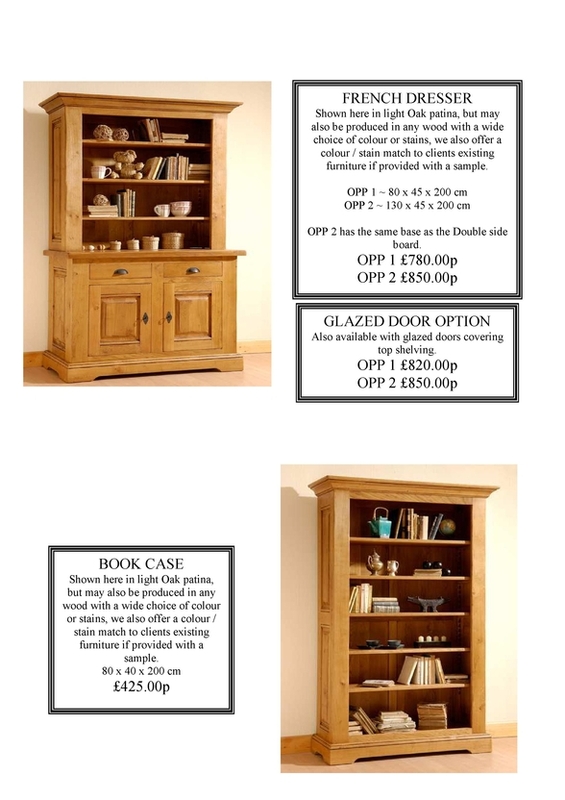 and state the item you require along with your choice of wood, colour / stain and handle / knobs you would like.